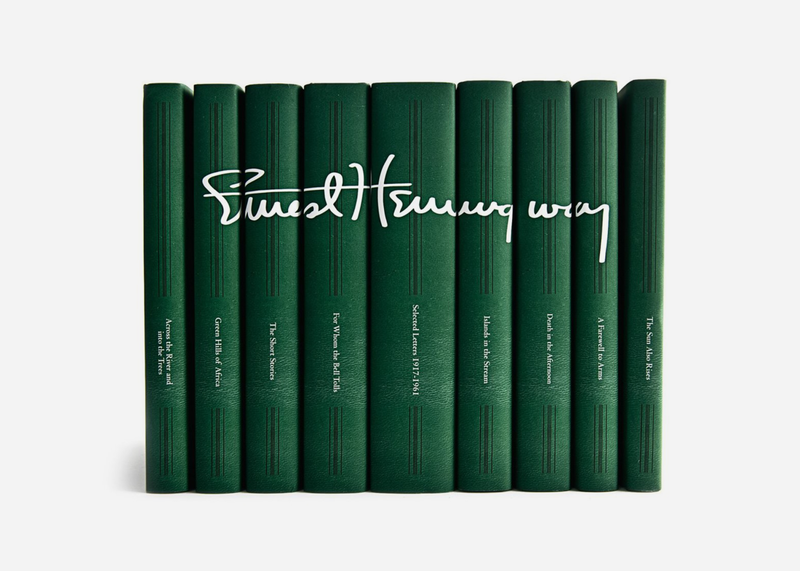 Dress up any bookshelf with this stylish nine-volume collection of Ernest Hemingway's most iconic work that's both a celebration of a literary great and a beautiful design object. Clad with the author's iconic signature on top of dark green book jackets, the set includes Across the River and Into the Trees, A Farewell to Arms, For Whom the Bell Tolls, Green Hills of Africa, Islands in the Stream, The Sun Also Rises, Death in the Afternoon, Selected Letters 1917-1961 and The Short Stories. After being sold out for quite some time, it's finally back in stock here.